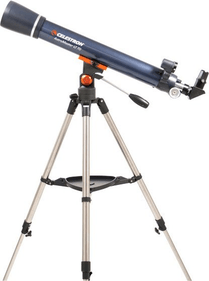 The Celestron AstroMaster 70 is an ideal telescope for starters. 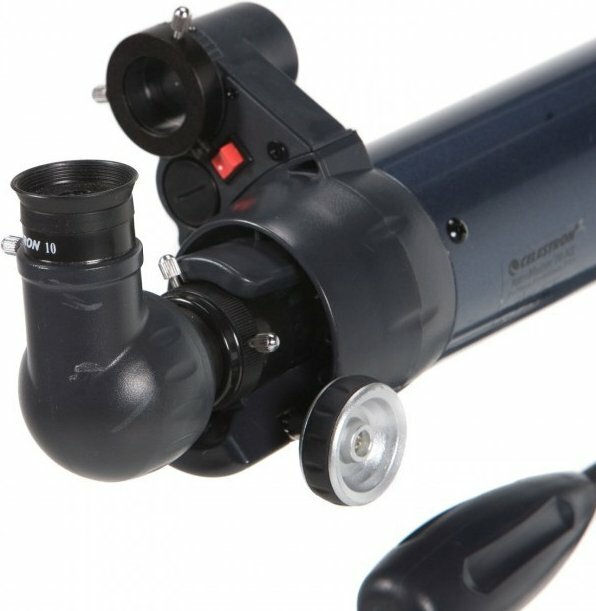 The long tube provides a focal length of 900mm; with 10 and 20 mm eyepieces, this gives a magnification of 90x and 45x, respectively! 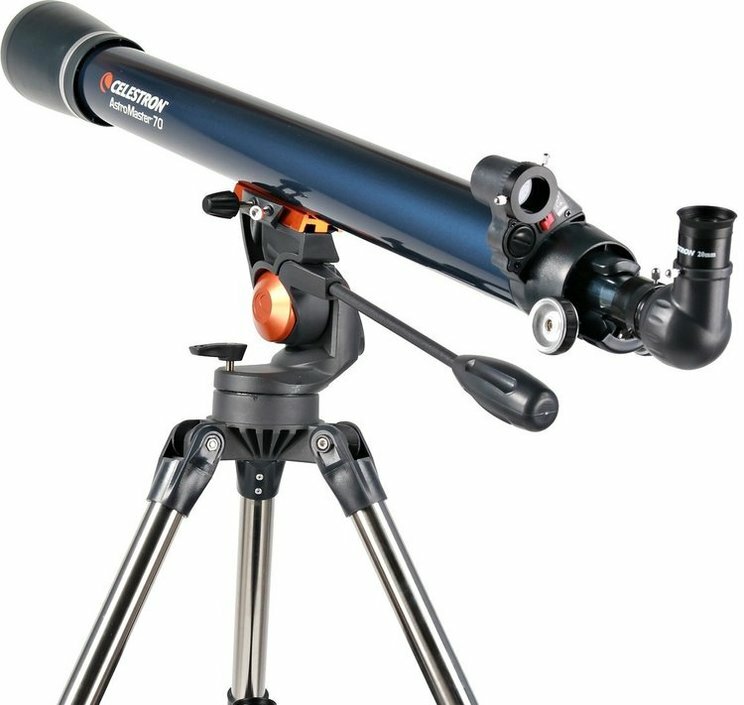 This telescope is very useful for observing nearby celestial bodies in our solar system such as the moon and the planets. 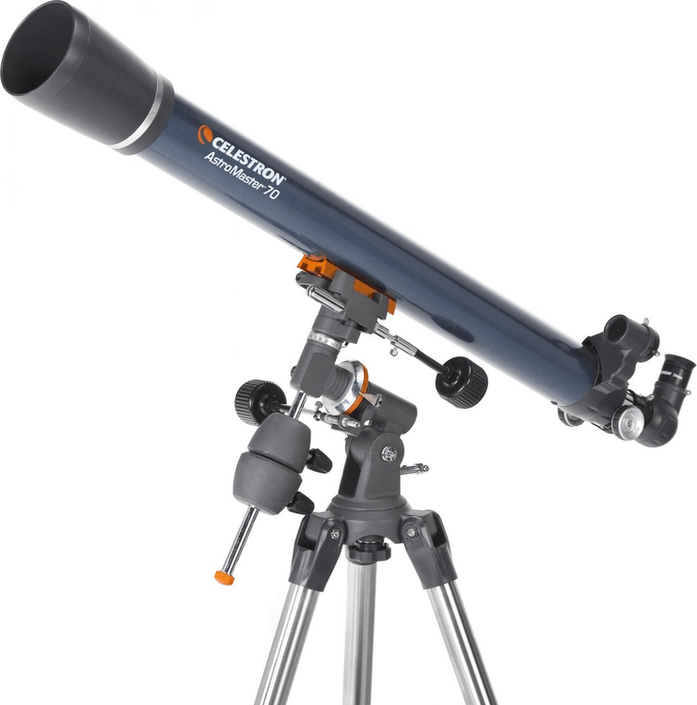 The telescope is lightweight, easy to set up and very sturdy. 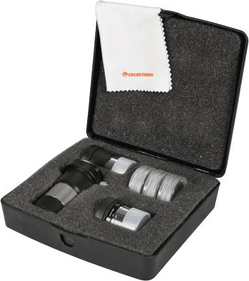 This makes the telescope ideal for taking with you on location. 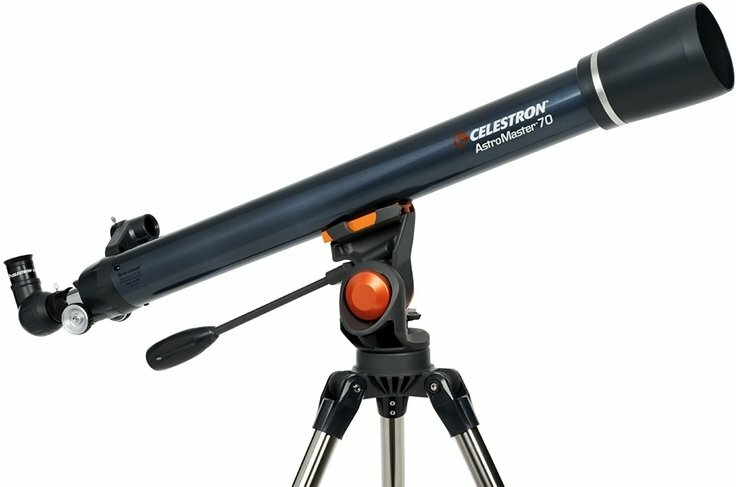 The included erecting eyepiece makes this Celestron telescope suitable for terrestrial observations as well. 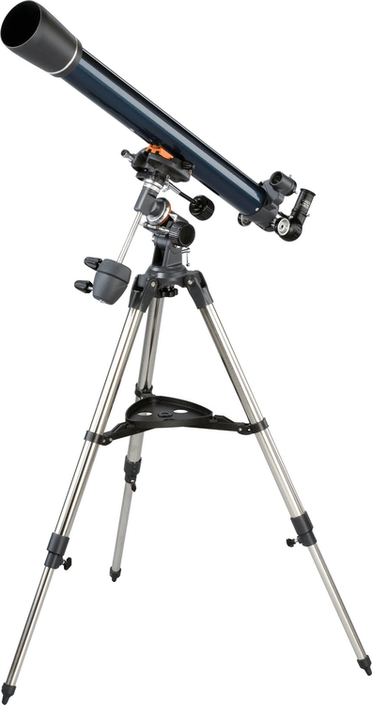 A free CD-Rom of the Sky Level 1 planetarium software is supplied with the telescope. This CD-ROM contains software featuring information on the stars. In the database you will find illustrated information on 10,000 objects. Be inspired by this software and start looking for the heavenly bodies which can easily be found with this software! Look for mars and Saturn and take a photo of both of them and maybe print it.